Heather from Feathers Flights has done it again! Heather used our glorious basic combed cotton to help make this adorable family picture activity book! She was also kind enough to share this amazing tutorial on how she did it. 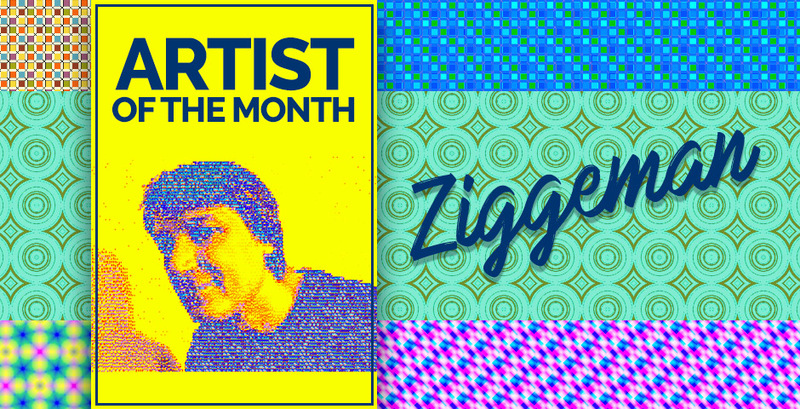 Follow along below to learn to make your very own! I have a great gift idea for you today! I love coming up with easy and personalized gifts to give (and you can see more over at my sewing blog, Feathers Flights). This would be great for a baby shower gift, a family gift, or a grandparent gift. 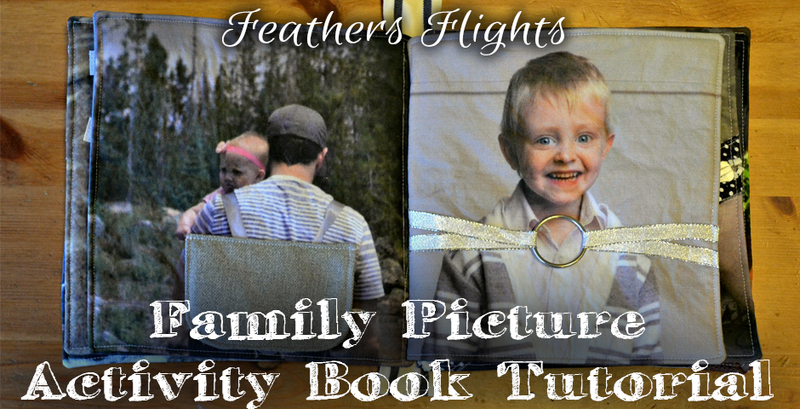 You can print the family photos on basic combed cotton and make it into a soft book for babies and young kids. It’s easy to personalize and the kids looking at it get to know their own family members. I had 12 photos printed, so I could make 6 pages in my book. You can always do more or less depending on how big you want your book to be. 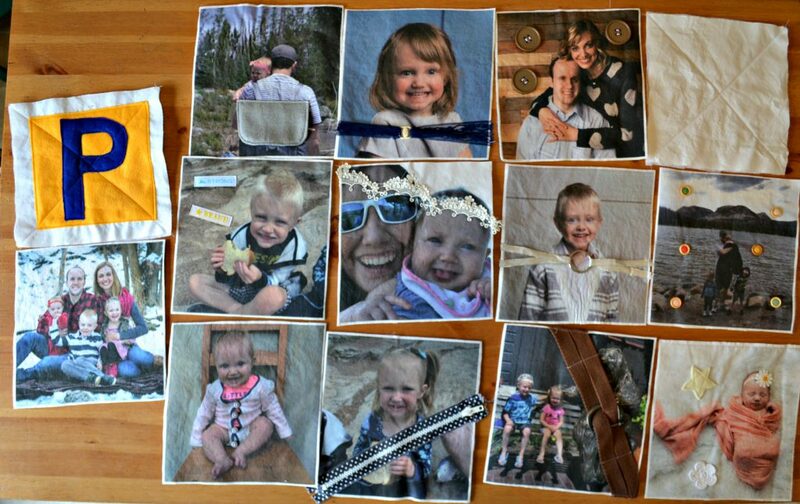 I wanted some extra white space to use for extra pages so I didn’t fill up my yard of fabric with photos. 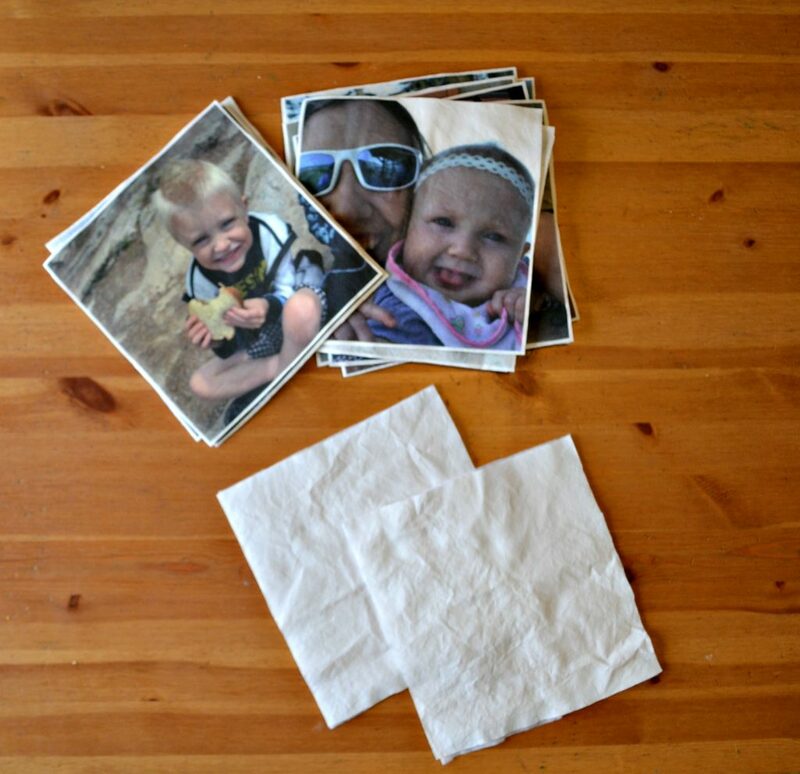 But Instead of using white fabric you can use any printed cotton fabric for the extra pages. 1. 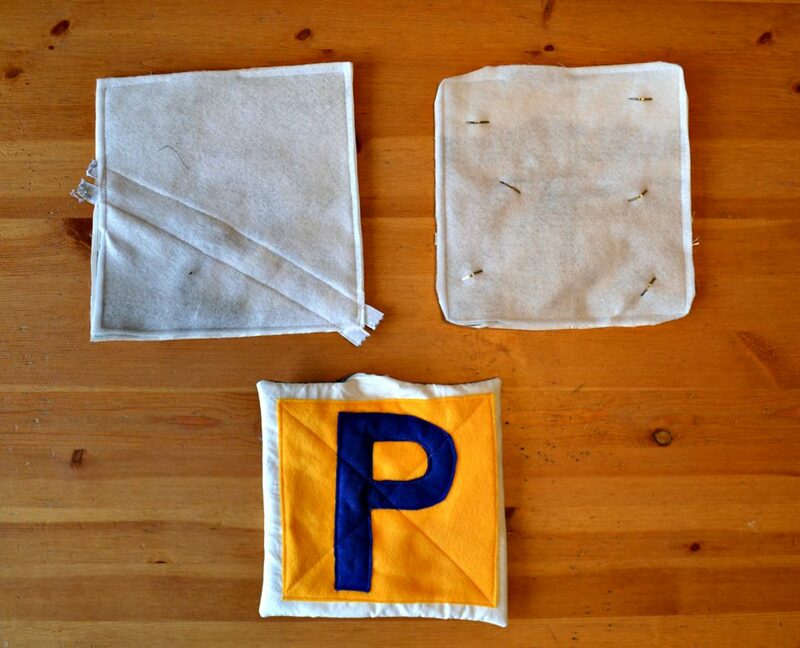 Wash and iron your fabric. 2. Interface the back of the photos with either interfacing or iron-on fleece. Interface some extra fabric for the front and back pages of the book. 3. 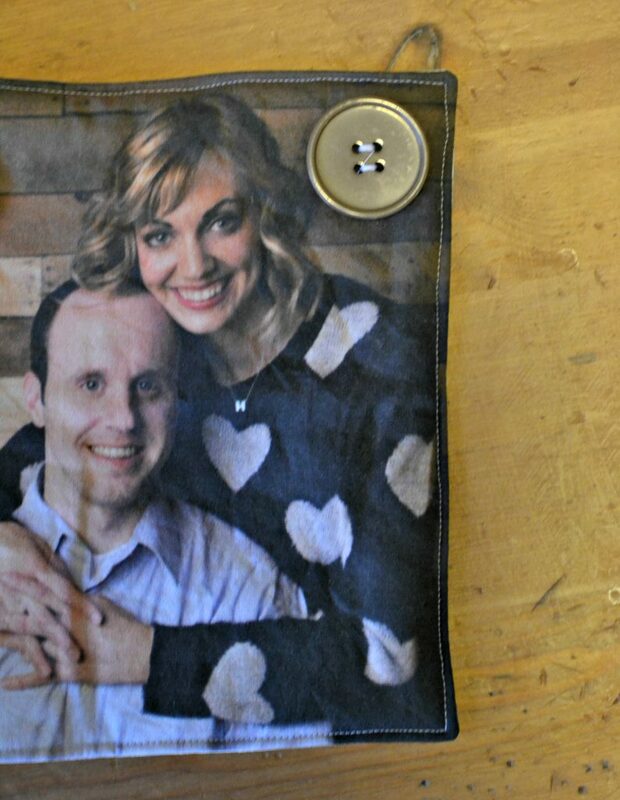 Cut out all the photos with 1/4″ seam allowance on all sides. Cut out the front and back pages. 4. Add fun notions to each page. I added buttons, lace, zippers, and anything you want for tactile fun. I also added a front page. 5. With right sides together sew each page together with a 1/4″ seam allowance. Leave a 4″ opening on one side to turn right sides out. 6. Trim the corners to reduce bulk. 7. Turn right side out and poke out the corners. Sew around the outside of the pages 1/8″ from the edge and close the opening. 8. You can sew buttonholes on each page and tie strings to put the pages together, or you can sew each page to a ribbon to make it into a book. 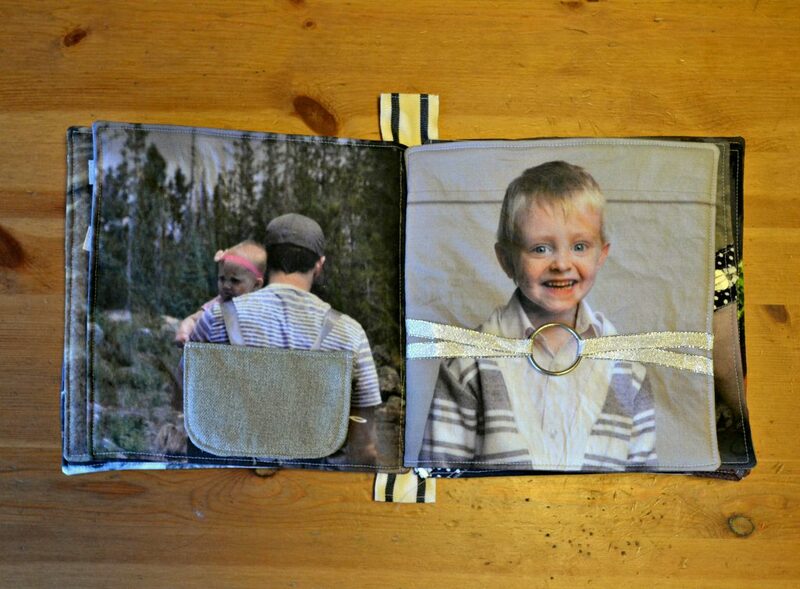 The buttonholes and strings make it easy to add any new pages. Let your children enjoy the book! 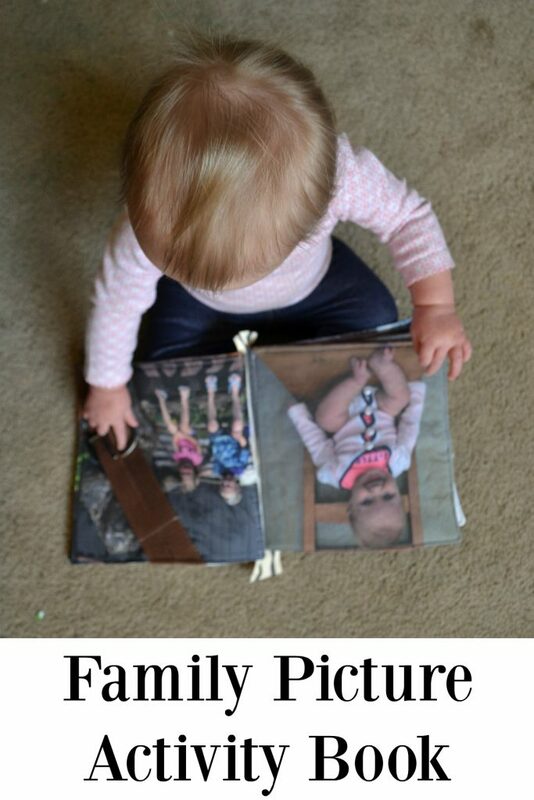 They get to see and touch lots of photos of their own family. 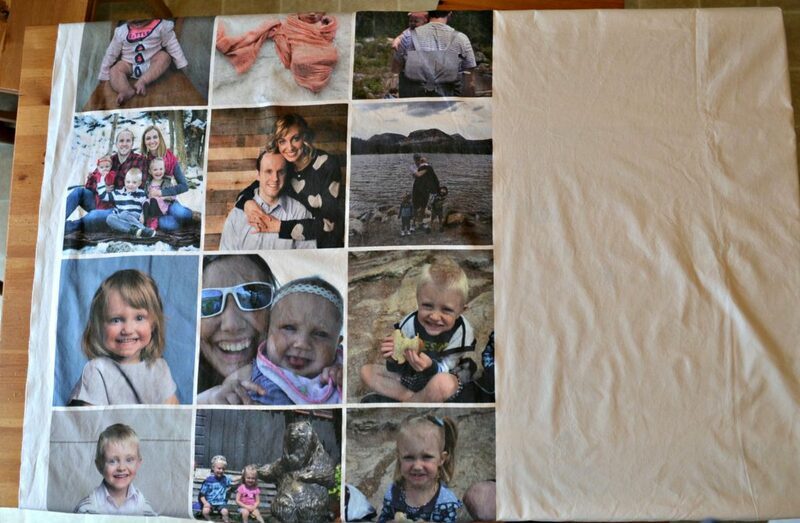 However you don’t explain how you printed the photos onto the fabric. 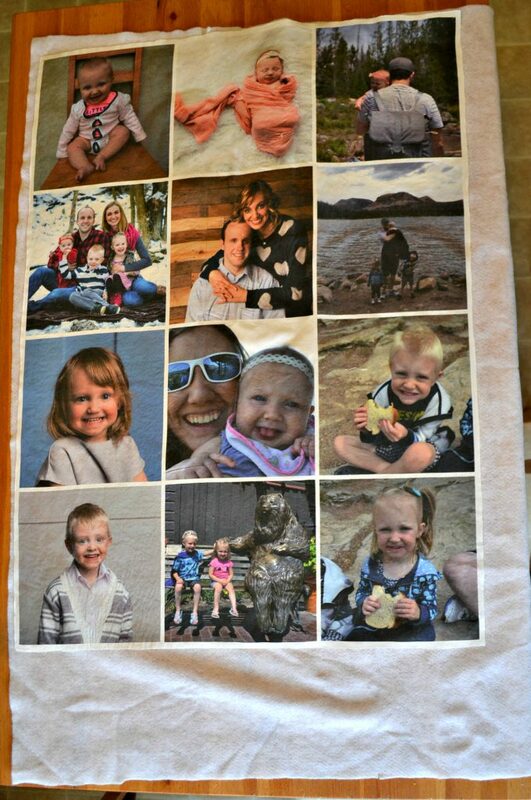 Can you please advise how you print the photos onto the fabric to make it a photo fabric book. Thank you very much. You can go to our website and choose the upload button. Here you can upload any design or image. 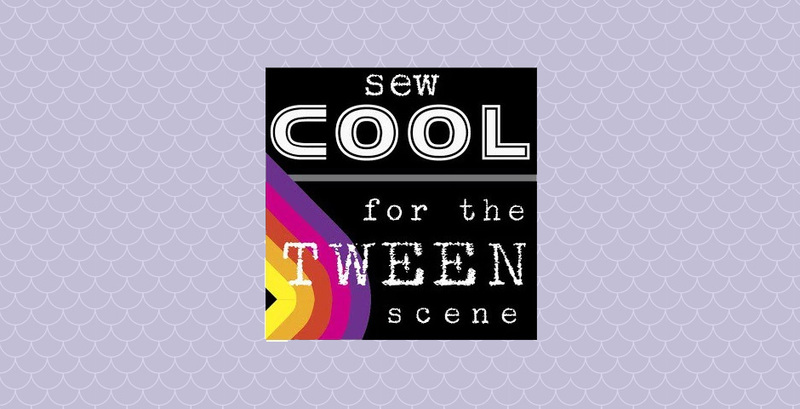 You can also use our creator tool to help create your own design or use it to lay out your photographs across the yardage! If you have any questions you can call us toll free at 855-893-9997 or email us at customerservice@myfabricdesigns.com.